"Reviews operation principles and methods for most Solid Freeform technologies and historical systems data. Illustrates the uses and mechanical details for a number of systems, including JP-System 5, Ballistic Particle Manufacturing, Fused Deposition Modeling, Laminated Object Manufacturing, Stereolithography, and Selective Laser Sintering, and more." ". . .a superbly written reference text. . ..suitable for students, managers and professional engineers. " 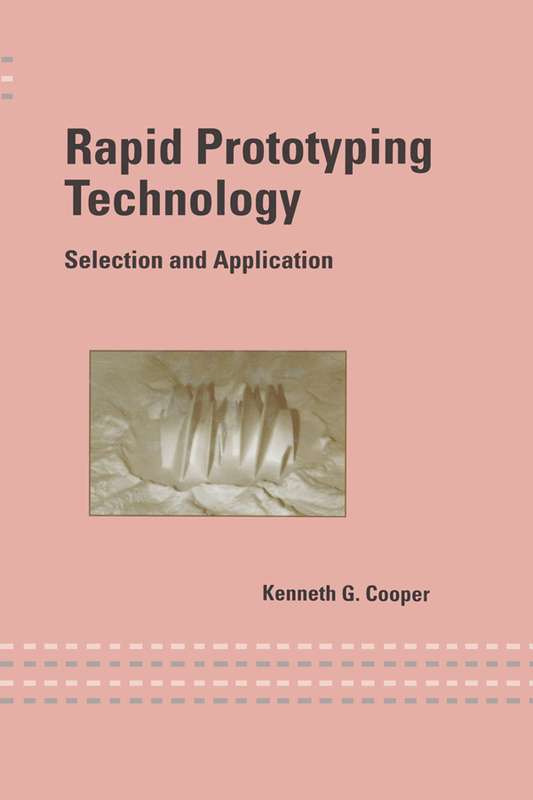 What is rapid prototyping?. Part 1 Concept modellers: the JP system 5; ballistic particle manufacturing; the model maker series; multi jet modelling; 3d printing, Z402; the Genisys modeller. Part 2 Functional modellers: fuse deposition modelling; laminated object manufacturing; stereolithography; selective laser sintering; laser engineered net shaping; 3d printing - pro-metal; other functional RP systems. Part 2 Secondary RP applications: casting processes; rapid tooling; reverse engineering; case study - RP used in wind tunnel tests; case study - RP investment casting study. Part 3 International RP systems: RP in Israel; RP in Japan; RP in Europe; RP in China; Appendix A - RP system cross reference chart; appendix B - the direction of the RP industry; appendix C -recommended RP texts.